Lionsgate is the first major Hollywood studio to provide content for the new worldwide venture, including the hit television series Orange is the New Black, Casual, The Royals, Mad Men, and Weeds. Vimeo also announced Starz as the latest partner. The news was first announced last week. People can download-to-own individual movies as well as “box sets” of TV series, making the Videom TV Store the first electronic sell-thru store that is globally available. “As audiences across the globe continue to shift towards online viewing, Vimeo is taking a leadership role, establishing our On Demand storefront as the world’s first transactional service to offer premium television on a truly global basis” said Sam Toles, SVP, Programming. 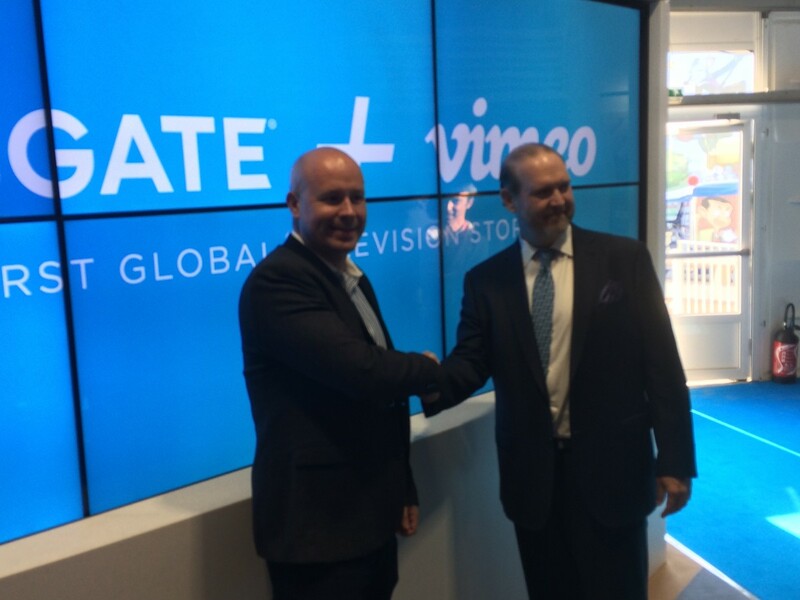 “Vimeo is undoubtedly one of the most cutting-edge online video platforms and Starz is very pleased to join Lionsgate in agreeing to provide content to Vimeo’s storefront. With this agreement, Starz will make available for purchase three of its most powerful and compelling Starz Original series for consumers around the world,” said Jeffrey Hirsch, COO at Starz. The storefront was unveiled today at MIPCOM ceremonies led by Lionsgate president of worldwide television and digital distribution Jim Packer and Vimeo’s SVP, programming Sam Toles (see picture). The service is one of the first to deliver high-end premium scripted US content to consumers in over 150 countries around the world at the same time.